This entry was posted on 四月 14, 2009, 12:59 下午 and is filed under Social Atom. You can follow any responses to this entry through RSS 2.0. You can leave a response, or trackback from your own site. 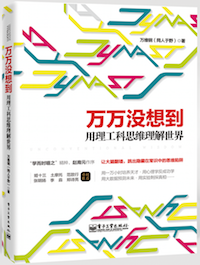 Evolutionary biology 的一个大问题是, 它的 explanation power 太强了, 没有什么它不能 come up with a theory and explain 的现象. 这话有点不通, 更有点像是抬杠. 不过你想想, 另一个 explanation power 巨强的就是宗教… 这个比较也不是我的原创. 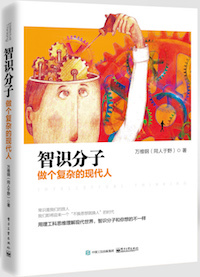 请看 Stephen Jay Gould 的1978年文: Sociology: the art of storytelling (http://www.scribd.com/doc/6883333/gould-stephen-jay-1978-sociobiology-the-art-of-storytelling). Gould 是著名生物学家, 进化学家. 他其实是”顶”进化学的. 所以他这篇文, 格外有趣. 其观点我就不在此赘述了. Psychology books is one of the books which you really need to understand. Though, I know that you have learned a lot of things with this book.